The chickens have left the building! 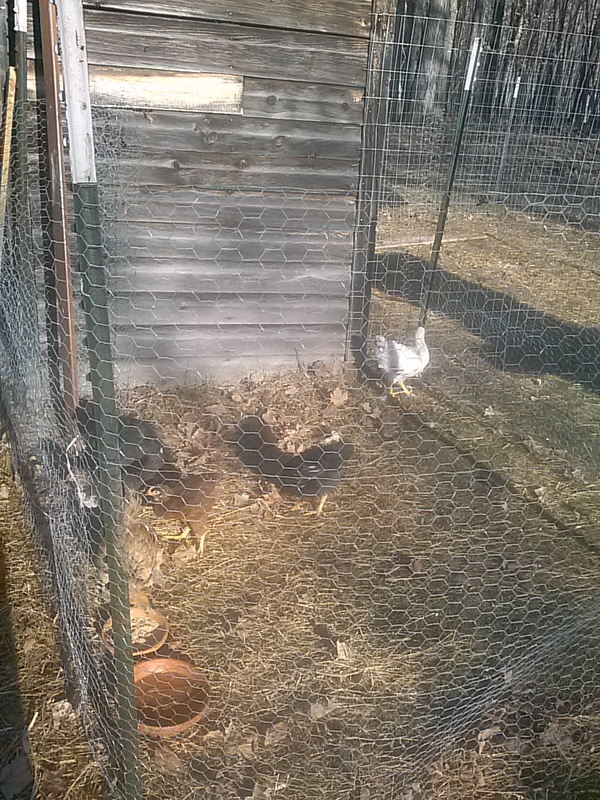 I have been scrambling to get the chicken coop ready to house my baby chicks, and keep them separate from the adult chickens. My goal was to get it done by the end of this weekend – I ended up ahead of schedule, and it was done (enough) by today to put them in. That leaves me tomorrow (Sunday) to start with the yard work I’ve been wanting to get to. Our chicken house is an old sauna building, split into two rooms. The back room is where our adult birds are. The front room was used for storage until today. When we originally started working on the sauna to get it chicken-ready, we gutted it down to the wall studs, and then lined the whole thing with plastic. We had some nice plastic tarping that I figured would work as a wind break, since the building is so old. The back room was then lined with plywood & particle board to make actual walls. We left the front room unfinished until today. 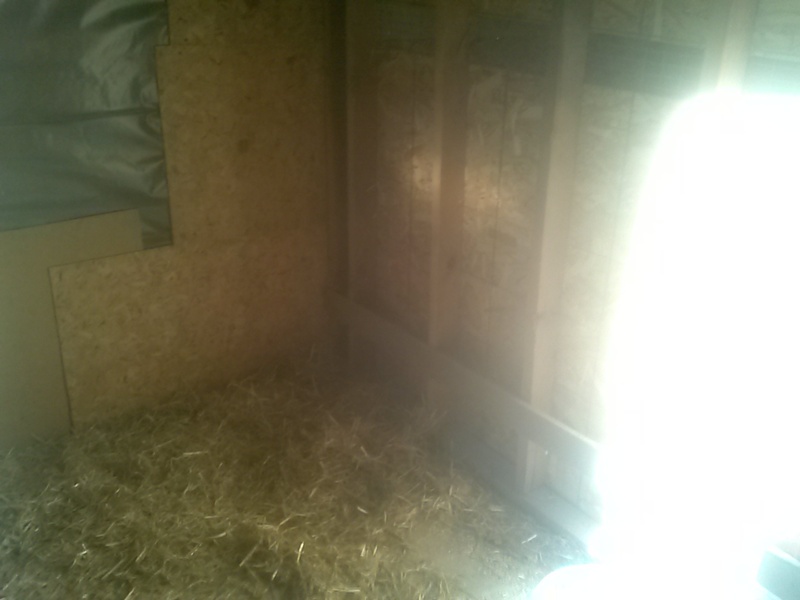 Part of the new chicken room, where most of the bedding is. 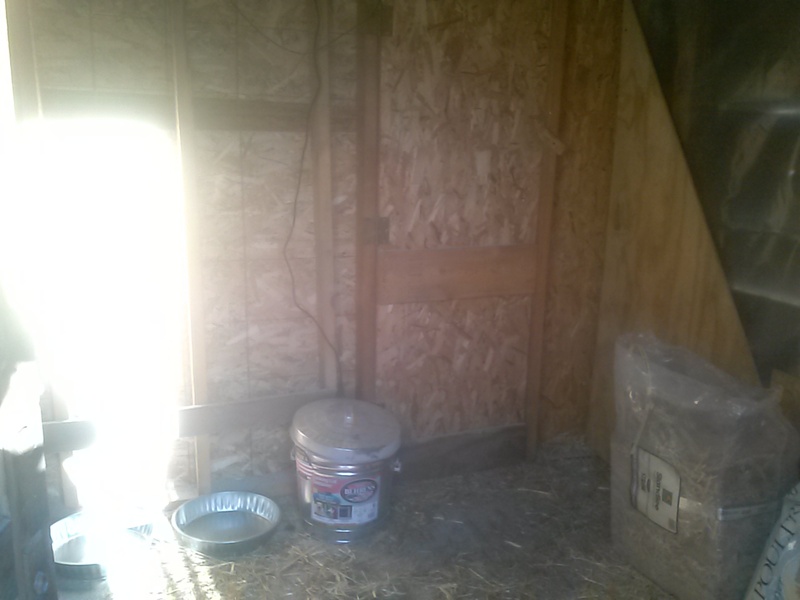 The other side of the new chicken room – the door shown here leads to the back room (the adult chicken’s part). Our plan once everyone is integrated together is to take down the door that separates the two rooms, create a closet space to the side for their food, and make it one giant chicken palace. Another shot of them in their pen – it was late in the day so the sun was messing up my pictures. I want to keep them separated from the adults for the next several weeks – I’ve heard 10-12 weeks is a good age to integrate them. But at least they can see each other outside and hear each other inside the coop, so they’ll be somewhat familiar with each other by the time they are old enough. Now I just have to figure out how I’ll integrate the new chicks I’m getting sometime this week. They will be in my spare bedroom like these babies were, but hopefully for not as long. Today I also ended up giving away one of my adult roosters. I had two, and my neighbor had asked if we had an extra, since he only had hens. I was planning on keeping both of them, but they have recently started fighting. 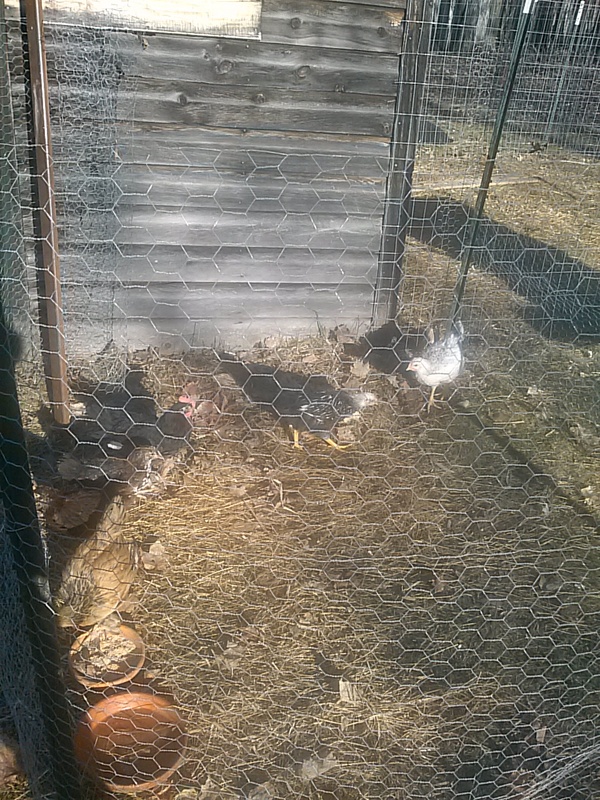 My big orange Buff Orpington had started picking on my Silver Laced Wyandotte, and then they’d fight. They don’t have spurs (I’m not sure if those develop at some point later?) but they have nubs on their legs where spurs would be if they were to grow. 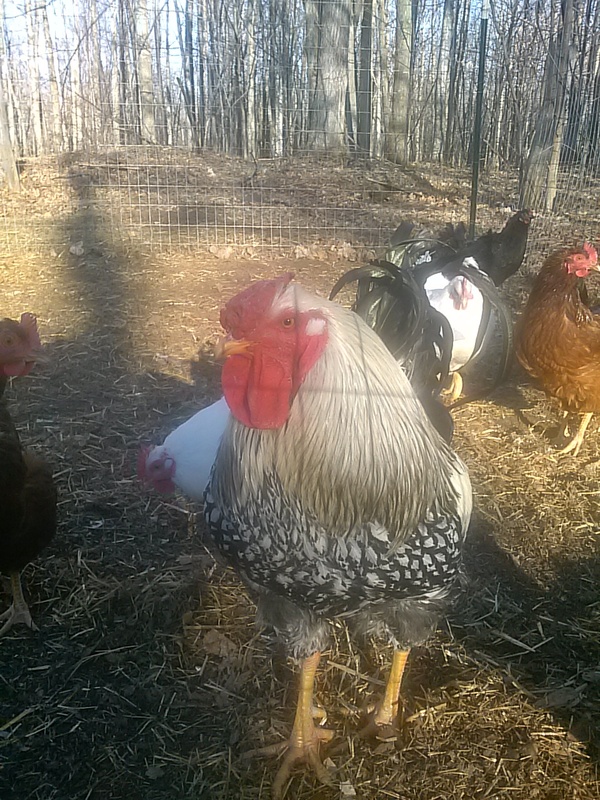 I traded my Buff Orpington to the neighbor today for some horse manure; He’s going to drop it off sometime in the next few weeks so I can use it in my compost. My silver Laced Wyandotte rooster. Previous Article Wizard (the Purrface).